Here is a clear cut example of what is possible when it comes to information gathering about a disaster. When remote sensing like this is collected by robots, the data fed is in real time, and distribution is available to the public, the future will be here. Can you say: Privately owned Drones? Another communications management issue the Emergency Management sector will need to be prepared for or the Katrina PR debacle is certain to be repeated. 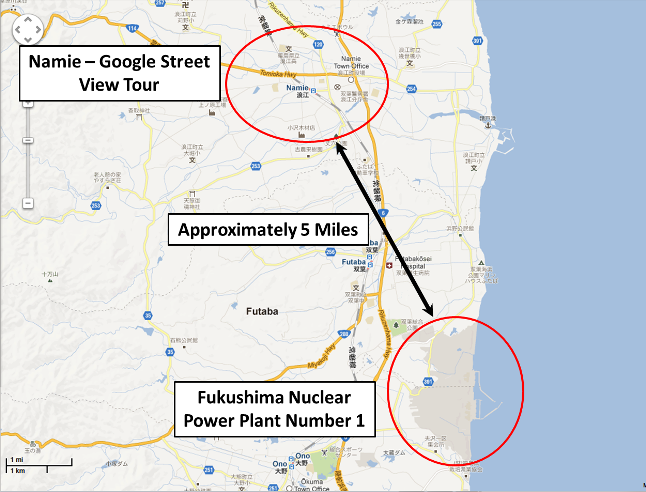 As shown by the map in the "Nuclear Evacuation Zone Revised in Fukushima’s Tomioka" article - contamination zones from nuclear incidents aren't perfect circles that expand out from the point of incident. Think about that one next time someone tries to show you zones of potential impact for location X.